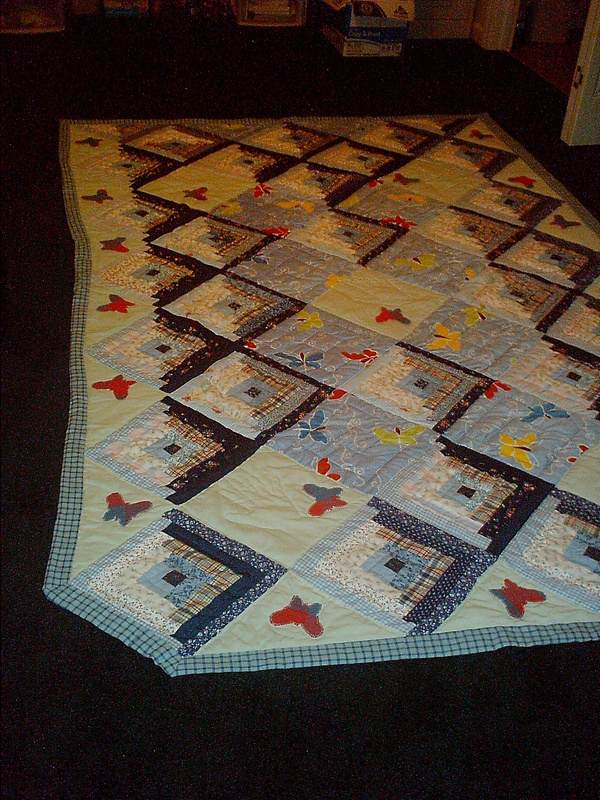 I actually got these done last winter (I pieced them the winter before and just quilted them last winter) with a lot of help from my Mom, a neighbor lady or two, my sister, and various other people that popped in and volunteered their time. 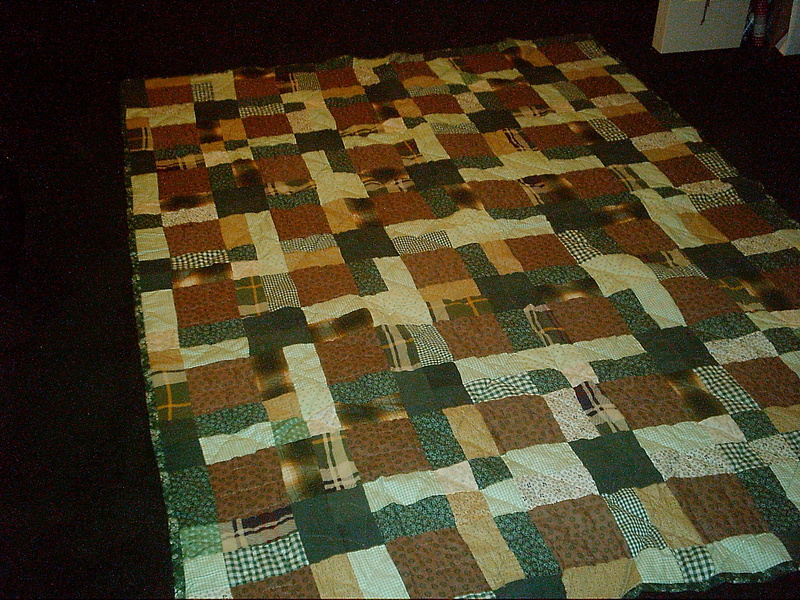 The green quilt is Josiah’s(8). One definition of his name has to do with “support.” So we quilted blocks and Bible’s on his quilt to symbolize the fact that he can’t do it all on his own. It takes more than one block to build a wall and Dan was just one of the many blocks that supports him in his chosen path. I also quilted Bibles on there because I want him to remember to use his Bible as his true source of support for every aspect of his life. This year I started on the one for Dassy(6). For some reason I started with Abigail’s (the first one done) which is why Dassy’s is next. This pattern is a little more complicated, so it’s probably going to take a bit longer to get it done. Hopefully it won’t be so difficult that I can’t make my goal of one quilt a year. Dan said this was our verse. I was mercy, he was truth. He was righteousness and I was peace. “Righteousness shall look down from heaven” ?!?!?!? “Righteousness shall go before him and shall set us in the way of his steps.” ?!?!?!? Was he telling the future? Vs. 12 says “the Lord shall give that which is good;” Once again I’m going to trust that He did give that which was and is good and will continue to do so. Had a talk with my Mom the other morning and I think I’ve traced my avoidance back to Memorial Day. Some things happened that day that just make me want to throw up my hands in defeat and go hide in my room. But as much as I want to and as much as I’ve tried (to hide subconsciously), I know it’s not going to work. Things are going to change. I was in the car by myself the other day thinking about this and got to talking to Dan/God about this. (Funny how the two of them seem to co-exist for me. Hmmm . . but that’s another topic for later.) Dan mentioned something one time about how I avoided responsibility. I remembered that and I laughed.